September Trade Ideas. EM is bleeding. When will DM join? Home 每日市场分析 September Trade Ideas. EM is bleeding. When will DM join? Author – Nick Korzhenevsky, senior analyst with AMarkets Company. The anchorman of a TV program “Economics. Day rates”. Emerging markets have moved to the phase of acute stress. ARS and TRY tanked losing of third of their value in August alone, and the entire EM spectrum is suffering. Italian debt markets are also on a verge of collapse, and that has not been fully priced into other assets. We’re in for a very volatile fall. August proved to be a truly crisis month. Emerging markets have fallen under stress altogether, and the correlation across EM assets has strengthened notably. It is no longer a story of a tumbling Turkish lira or a struggling Argentinian peso. While those two surely remain in the spotlight, most other non-G10 currencies are also selling off hard. The contagion has spread to Asia, Africa, EMEA and South America. Even the Mexican peso is down (albeit only by 2.6%) despite the fact that the unit is already heavily undervalued and had every chance to benefit for the positive newsflow over the last month. This is very typical for the later stages of pronounced EM weakness. The assets start trading as a single class, with few investors looking at the fundamentals. Although it is a late stage of turbulence, it has to conclude with a real crash. As it often happens with emerging markets, the process might last for quite some time before things finally start to calm down. Just to recap, the 1997-1998 crisis started in Asia and it took over a year for it to reach peak volatility. Some argue that the foundations of that episode lie in the 1994 Mexican ‘tequila’ crisis, which would imply a 4-year-long period of struggle. It is difficult to identify the stages of current developments precisely and match them with past episodes, but one thing is for sure: it is always darkest before the dawn. 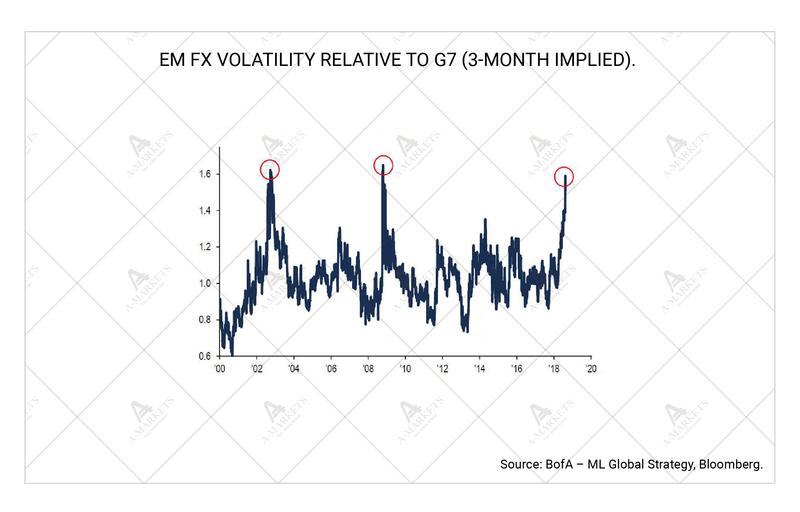 And the near-term EM perspectives are not bright at all. The next candidate to travel the path of the TRY and the ARS is the South African rand. It has long been characterized by relatively poor fundamentals: a large current account and fiscal deficits, combined with higher external debt. Budget shortfall this year is likely to be greater than the 3.6% target (closer to 4%, according to our estimates), and that makes a sovereign downgrade probably in early 2019. Also, just like in the case of Turkey, it might be very dumb politics that drives markets into disarray. However, the story is not limited to the EM space. Euro also went through a rough patch in August. EURUSD dipped all the way down into the 1.13 territory, as investors realized that many large European banks were heavily invested in Turkey, and the sharp drop of the lira might trigger losses to some fairly big names. The point that the market was missing, in our opinion, is the Italian debt market. 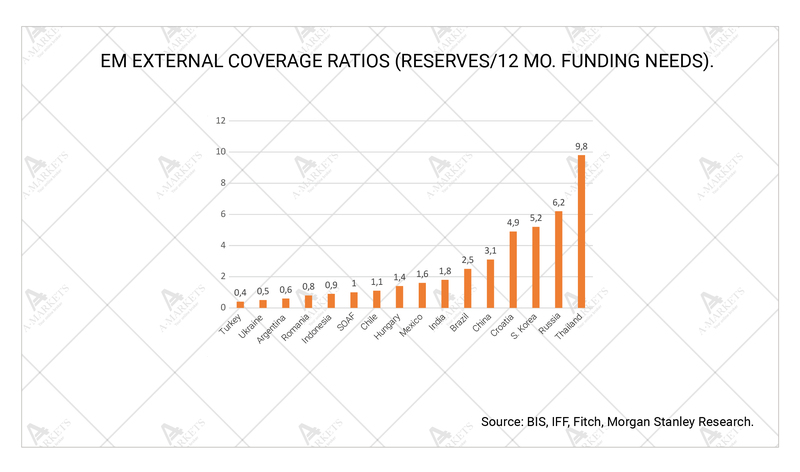 While everyone is calculating how much the banks might have to write down due to the Turkish havoc, the 1 trillion question is what happens to Italian debt once the European Central Bank wraps up the QE. We expect Italy to become the hottest topic this month already. The government is due to publish its fiscal projections for the first time. 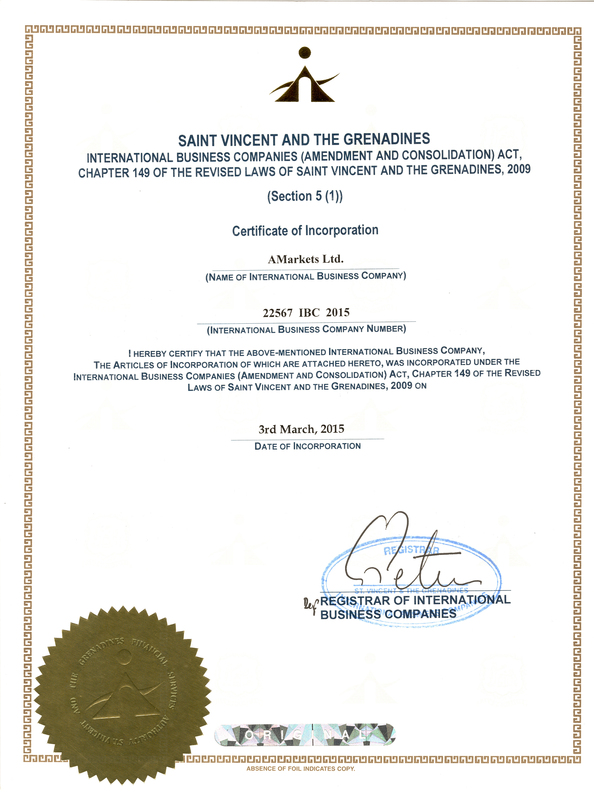 And there’s a risk the document will scare off some investors. Latest reports suggest that the 5-Star Movement, a ruling party, is pushing for a budget deficit of 2.9-3.0% of the GDP. This is three times higher than what the previous government was heading for, and it is also twice as high as what the Economy Minister Giovanni Tria had been communicating all along. The budget proposals are clearly an enormous risk for the euro going into September. 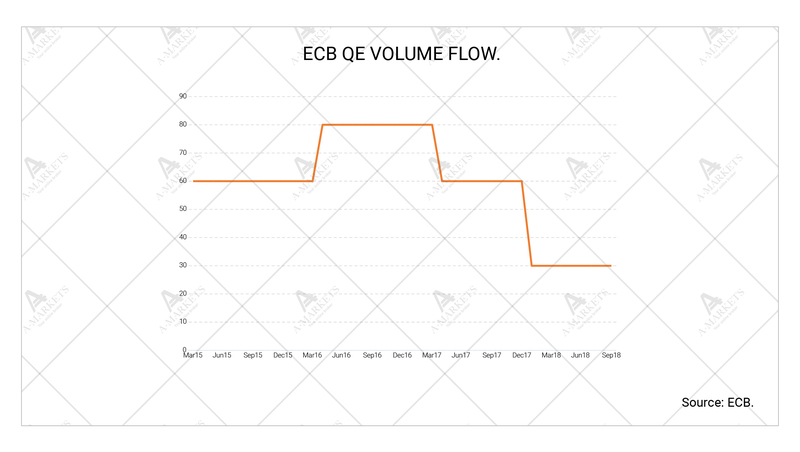 The fact that the ECB has committed to continue bond buying through the very end of 2018 might help the situation a bit. However, one has to keep in mind that the monthly purchases now amount to only 30 bln euros, down from the 80 bln in 2016-early 2017. Furthermore, the remaining amount can not be used to solely buy Italian debt, and has to ebrace all the EZ countries, according to the central bank’s rules. We expect the combination of a BTP sell-off and persistently weak Turkish banking system to push euro lower. 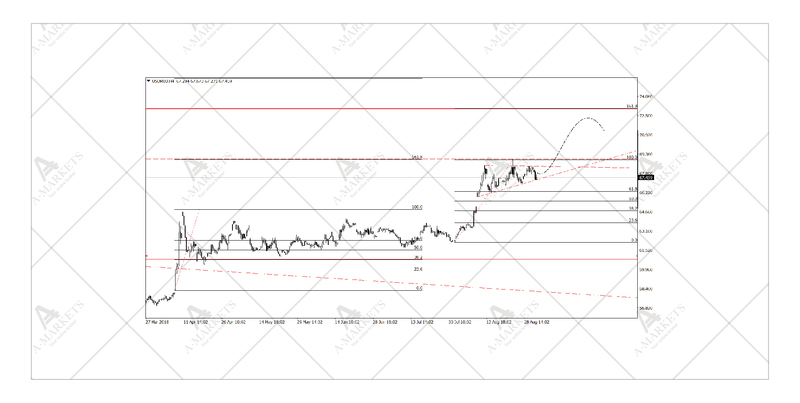 EURUSD is likely to test 1.08-1.09 area. Meanwhile, macroeconomic trends in the DM world are very different. The U.S. economy remains the pillar of global growth. Q2 GDP growth stood at 4.2%, and Q3 is likely delivering a number above 3% q/q in annualized terms. The EU is not far behind, with the economy now running hot. Germany’s GDP is up 2.0% q/q in annualized terms, and if it wasn’t for the periphery, the Union would probably post some of the best results over the last decade. The labor markets are also overheated by many measures. Unemployment in the U.S. is at least 0.3 p.p. below the NAIRU, the EZ is projected to run that same gap in 2019. But the inflation situation is very different across the pond. 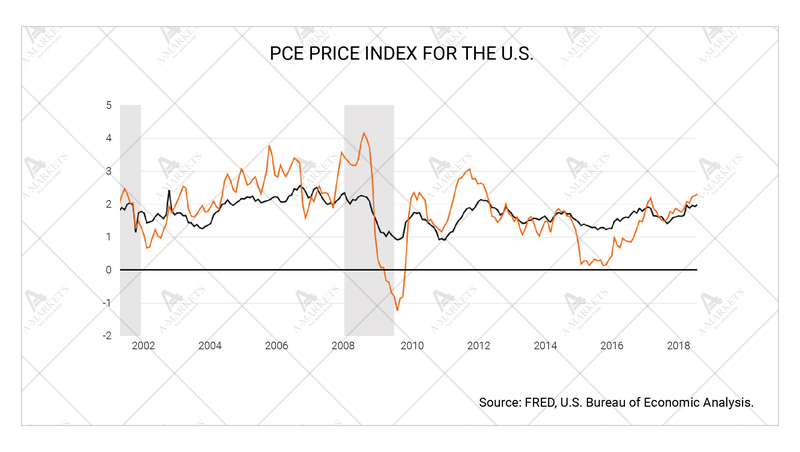 The Fed has finally hit its target, with the core PCE index now rising at 2.0% y/y. All other inflation measures in the U.S. have also normalized, and only wage growth is somewhat below levels expected in an economy tempesting at 4% per annum. One should remember that the first significant inflation surprise arrived in February this year, and hit the treasuries hard. Six month later one can be quite certain that it was not a one-off event, but a beginning of a larger trend. In Europe, meanwhile, price pressures remain muted. That is another exceptionally important factor for the FX markets. There is a clear risk that the FOMC will go farther (or faster) on rates than initially expected, especially given a very resistant stock market. Financial conditions have also tightened to a lesser extent than the Fed funds imply. The ECB, on the other hand, is fairly comfortable with letting the economy remain overheated in 2019-2020, precisely because the inflation is still struggling to stabilize closer to the mandate. Policy divergence is also set to become a major negative for the EUR. Higher USD rates are also a hurdle for the precious metals markets. As pointed out in previous editions of this report, gold has been exceptionally weak throughout 2018, and is likely to remain under pressure while the Fed is tightening fast and/or treasury yields proceed higher. The same holds true for silver. Industrial metals, on the other hand, are suffering from all the uncertainty in the EM. We remain cautious on copper, due to obvious signs of fading growth in emerging markets, including China. While there is a medium-term base forming, it is too early to be a buyer here. EURUSD: consolidating before proceeding lower. 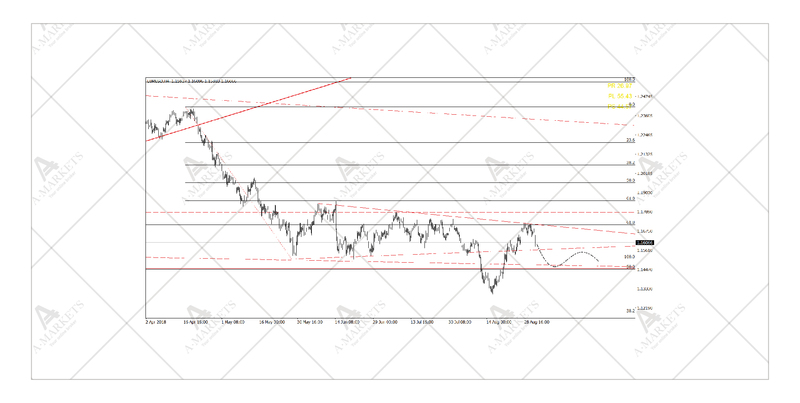 We will sell EURUSD at 1.176 targeting 1.1568/1.127, stop-loss at 1.182. 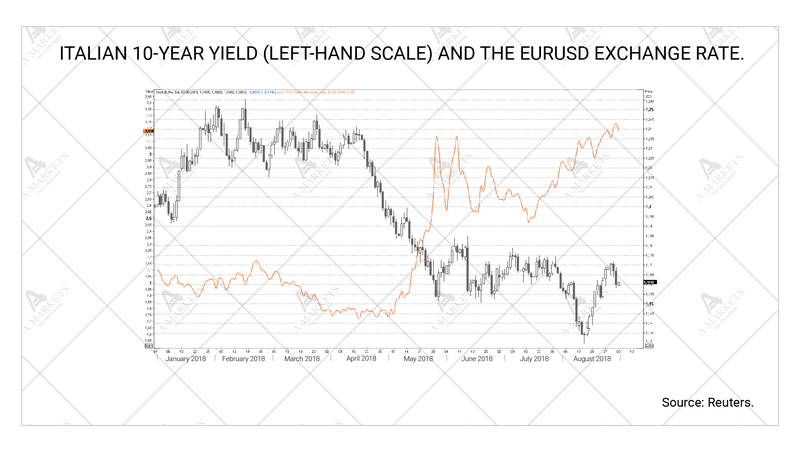 While fundamentals for EURUSD are outright bearish, the technical picture is not so well-defined. In a big picture, the pair is still in a corrective move down after a brisk rally, and no clear signs of a longer-term downtrend have emerged. Since May the market has been stuck in consolidation with a failed break lower when 1.13 was tested. Despite all the negative newsflow stemming from Turkey and Italy, the Trump administration has inflicted too much damage on the dollar for the greenback to rally strongly. And yet there is an opportunity for speculative traders. EURUSD is highly unlikely to restart its rally in 2018, and is probably going to be stuck in range at best. We would go short once the unit recovers to 1.175 area, and set a very slim take-profit order just a couple of big figures lower. The risk is that short-term European negativity will eventually hit the market, and driver the common currency much lower. On a 2-year horizon we still believe the dollar is the weakest link, but that is a whole different story. USDTRY: the mother of all trouble. We stay out of the market, but it is an essential asset defining general market sentiment. It is only fair if we go through a few fairly exotic currencies, because it is precisely them who is in the eye of storm today. 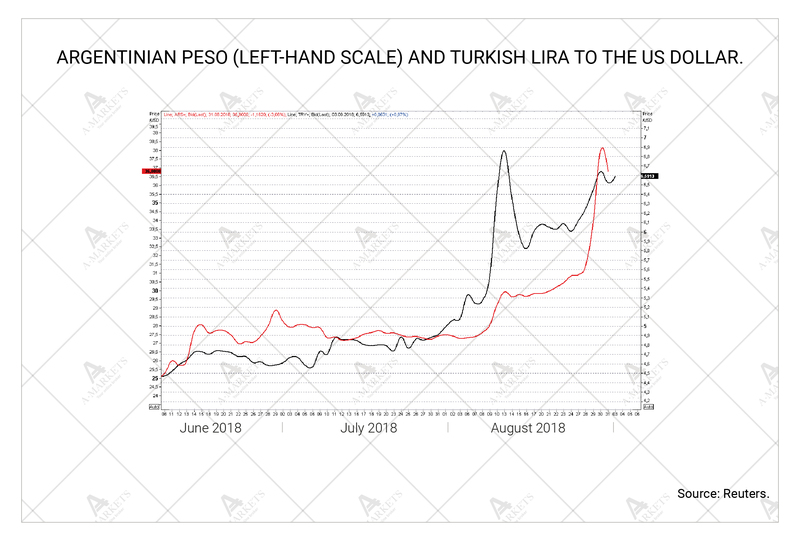 Turkish lira is, of course, in the driving seat (the Argentinian peso was just floated recently, and the market might be simply looking for its equilibrium there). Central bank of Turkey has been reluctant to do anything to contain currency devaluation, outside of a few minor moves aimed at tightening liquidity and making it marginally more expensive. Total implied rate hike over the course of the past episode of the currency rout in Turkey is only 1.5 p.p. The authorities are basically standing pat and are not willing to do anything to defend the lira, as it goes against the presidential economic philosophy. From the technical viewpoint, this opens the path for further TRY devaluation. The currency has been taking out historical lows one by one. USDTRY is currently hovering above 6.5, with both weekly and monthly closings pointing at further disarray. The next leg of a local sell-off is likely to take it the pair to 7.6-8.4. This might be where lira finally finds its peace, as the rally will then have been exhausted by all measures. Having said that, we do not rule out any developments, as a vicious circle has emerged. Recent lira weakening is biting into the banking system’s reserves, and exchange rates above 7.0-7.2 will fully deplete cushions, which then reinforces capital flight and makes things worse for banks again. Plus there’s the factor of U.S.-Turk politics that may play out in any direction. 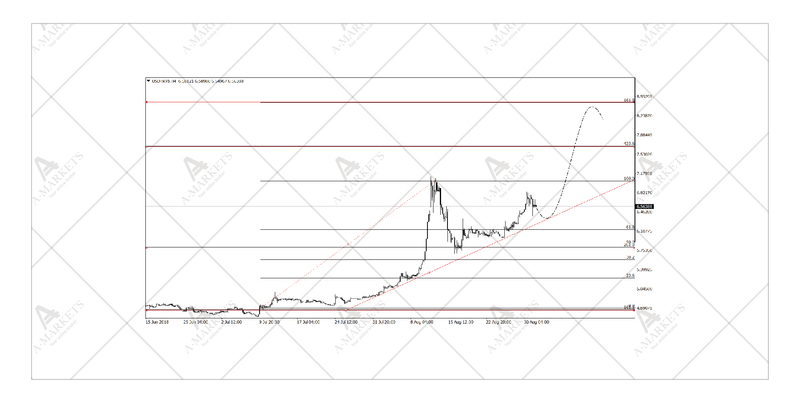 In a nutshell, with volatility and uncertainty this high, we prefer to stay away from this asset and find it extremely difficult to make a call on when the lira stops falling. 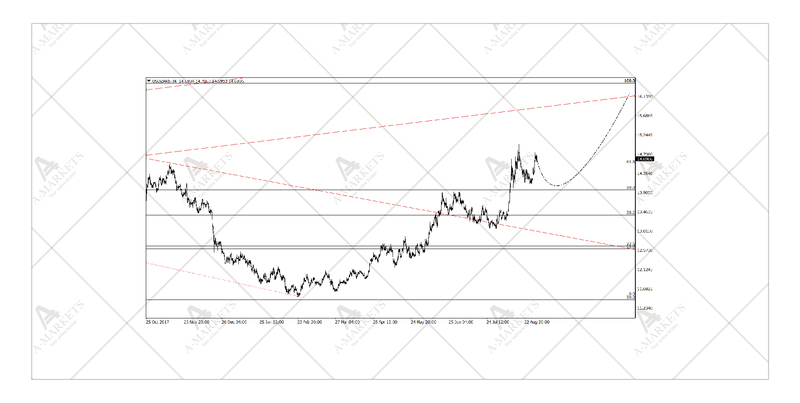 USDZAR: the next candidate in line. We go long USDZAR at 14.20 targeting 15.55, stop-loss at 13.90. After looking at the Turkish lira, price activity in South African rand looks like a smooth sailing, but it’s not. ZAR volatility has picked up, and there are a lot of sellers in the market. As mentioned above, the unit is weak on fundamental basis, and the politics in the country are turning to the worse. The government seems to be getting serious about land expropriation from the white farmers. Although this idea has long been floated and discussed in political circles there, this time around there is clearly more will for action. The technical picture also favors rand downside, although it is not fully clear how much of it. USDZAR has tested and successfully held the support at 13.9, it’s previous local high. Longer-term downtrend is also broken, which paves the way for further USD rally/ZAR weakness. It is essential how price activity develops around the 15.5-15.57 levels. Should that one be taken out easily, the move will become impulsive. We look for the unit to reach the areas just below the 20 mark eventually. We buy USDRUB at 67.5, will add at 66 targeting 71.00, stop-loss at 64.90. The ruble has also been exceptionally weak as of late. New and upcoming U.S. sanctions is the main theme here, and we think that the worst is still ahead. A bill aimed at labeling Russia a sponsor of terrorism will be debated by the Congress once House of Representatives returns from recess. The document is quite harsh, as it also includes the provision of blocking USD transactions for Russia’s seven largest state banks. This might complicate internal dollar operation and artificially inflate demand for foreign currency. We expect another leg of the ruble sell-off to arrive fairly soon, sometime in September-October. While probability of further ruble depreciation is quite high, we believe the move will be contained. Unlike the TRY and ZAR, RUB has much stronger fundamentals, and a lot of the capital outflow has already occurred. USDRUB will likely test 71.12, but anything beyond that looks like extreme undervaluation, and is not sustainable in the current environment. 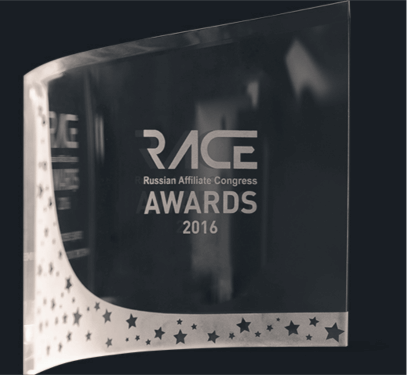 We therefore like short ruble exposure, but will fully exit the position at 71.00. 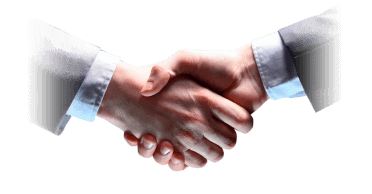 Analytical materials and comments reflect only personal views of their authors and can’t be considered as trading advices. AMarkets is not responsible for losses as the result of analytical materials usage.